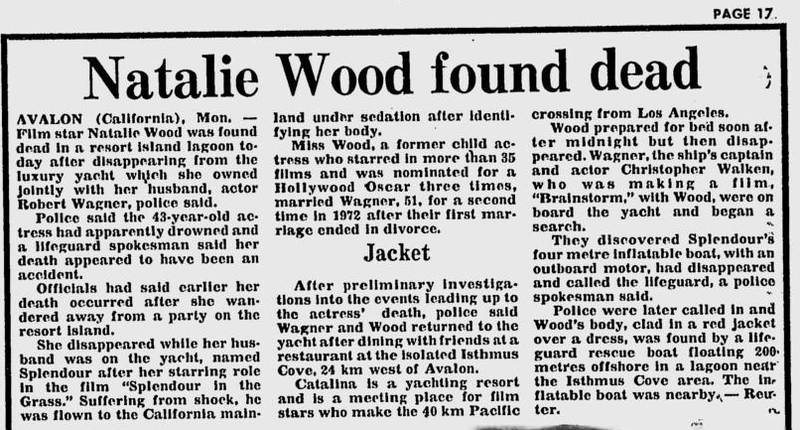 30 years after Natalie Wood’s tragic drowning off the coast of Catalina Island in 1981, the initial ruling that her death was accidental is being reexamined. According to the Los Angeles Sheriff’s office, the captain of the boat off which Natalie Wood allegedly slipped and fell into the ocean has made some strange remarks about the 30th anniversary of her death. They won’t release what he said, but it seems that they’re going to start investigating this case as a homicide instead of an accidental drowning because of the captain’s remarks. Spooky stuff, but not altogether surprising. 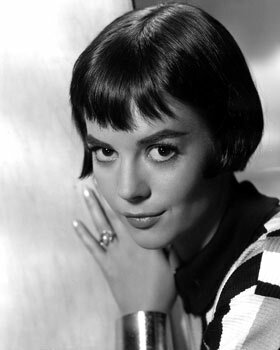 Back in 2001, Suzanne Finstad wrote a very classy, very exhaustive biography of Natalie Wood entitled Natasha. I read it when it first came out, and though I was just a little whippersnapper at 15, the official details of Natalie Wood’s drowning left gaping holes that sent chills up my spine. Finstad wrote about the details of that night, and about how there are some parts of the story that aren’t being examined closely enough. There was a fight on the boat…and there was drinking. There were reports of violence, and people heard cries. Finstad had some real reservations about saying that Natalie Wood’s death was accidental, and offers some possible explanations of her own. I will be following this case closely. I hope justice, in whatever form it may come, is served, and we can continue to remember Natalie Wood as she deserves to be remembered. It’s about time the authorities took a MUCH closer look into the late, great Natalie Wood’s tragic and puzzling death. Here’s hoping the whole truth finally emerges, whatever it is, and that justice will be served at last! I very much doubt that at the time of Natalie’s death, they were both “fabulously wealthy” with “incomes that matched.” I believe Wagner panicked when he was told Wood was ending the marriage for a second time. I believe he would have been in parlous circumstances financially had she divorced him, and this should be investigated further. Pamela Valemont – Australian Author of “Drowning and Other Undetermined Factors The Death of Natalie Wood”.